Feeling sick without having answers is a horrible place to be. People don’t know how bad it is until it happens to them. I was one of these people, a very active biotechnology professional and athlete, happy, in love with life and with my job. I was running a multi-disciplinary, technology in-licensing program at a private company that reviewed hundreds of cutting-edge diagnostic technologies from top universities around the world for commercialization. Life was exciting as we were communicating daily with top research teams across the planet working on emerging diagnostic tests for serious conditions. What is more exciting than that? Then one day things started to change. I was on vacation and started feeling ill. I returned home and talked to my doctors about what could be going on. They run several tests but no one could tell me with any certainty what was the cause of my symptoms. In the next few months, I became slowly housebound and then mostly bedbound. I stopped working and having any kind of life. Planning for anything was impossible as we did not know how I would do on a specific day. My calendar was organized around medical appointments and even those were hard to attend sometimes because I was too sick to go. My bed was the only safe place for months, which turned into years. During that time, we run more and more test and more tests but had few answers. At some point, I decided to change my entire medical team and read feverishly any scientific and medical literature available to try to help my doctors help me. Having been in and around research labs for more than a decade allowed me to understand a lot, to be able to piece things together and discuss with my doctors about possible scenarios and answers. After almost two years of searching, we finally figured out some pieces of the puzzle, enough to start treatment. In the next 3 years, I had two major surgeries, spend a few days in the ICU, was diagnosed with several rare and one life-threatening condition, and slowly began the long road to healing and recovery. It took years to feel healthy and able to join the living again. It took an amazing effort from my team of providers who refused to give up and kept searching, discussing, experimenting, and supporting me through the entire process. It also took a tremendous amount of stamina, perseverance, financial, emotional, and practical support for me and my family to be able to get through this and out the other end. This is why I became a patient advocate for people with complex medical problems. Because I have been there, have witnessed the fear, the frustration, the guilt and the letdown and found the way to get back out to a healthier, more fulfilling life. I know what it takes from the patient perspective, the medical team, and the process to have a successful result. Dr. Leininger and I met while helping an international greyzone patient get diagnosed after a decade of deteriorating health and no answers. We never looked back. We formed GreyZone to help address this need. No matter what the medical problem you are facing is, we can work together to start finding answers and improving your quality of life. We will treat you with respect, kindness, and compassion. You can get out of your maze and we are here to help you do that! Io is GreyZone’s founder and lead Care Advocate. She loves helping people address their medical challenges and improve the quality of care they receive. Io formed GreyZone after seeing first-hand how complicated it was for people with complex medical conditions to obtain an accurate diagnosis of their symptoms. Her experience was a testing, decade-long journey from health to bed-ridden sickness and back. This journey taught her not to take anything for granted and to keep pushing for answers until a clear understanding exists of what is wrong and an effective treatment plan is put in place. As a patient advocacy leader at the local and national level since 2011, Io co-founded and served as Executive Director and Board member of the Washington State Health Advocacy Association (WASHAA). WASHAA is the first state-level patient advocacy organization in the United States. It is a non-profit that empowers patients to be active participants in their own medical care. Io also served on the Advisory Board for the Care Management Certificate of the University of Washington as well as the Patient Advocate Certification Board (PACB), a national effort to standardize the field of professional Patient Advocacy. Io is currently actively involved in the Society to Improve Diagnosis in Medicine (SIDM), serving on the Patient Engagement and Practice Improvement committees. Io enjoys spreading the word on issues surrounding diagnosis and patient advocacy. She has been an invited speaker at the University of Washington, the Crohn’s and Colitis Foundation, the Society to Improve Diagnosis in Medicine, and the National Association of Healthcare Advocacy Consultants, among others. She has also been quoted in various local and national publications. In her previous career, Io held scientific and management positions in the fields of life sciences and biotechnology. She was a co-author on two peer-reviewed publications, and feels that inquisitiveness and research skills honed in during those years laid the groundwork for her current career. Io holds a post-graduate certificate in Patient Advocacy from University of California, Los Angeles (UCLA), a Master of Science (MSc) in Biotechnology Studies from the University of Maryland and a Bachelor of Science (BSc) in Business Administration, Marketing Management from The American College of Greece. For fun, Io enjoys listening to jazz music, singing, and watching summer sunsets while visiting family and friends in Greece. Chris Leininger, MD is GreyZone’s co-Founder and Physician Consultant. A board-certified Family Medicine Physician, he brings more than four decades of medical expertise and a deep commitment to and appreciation of medical challenges to our team. Dr. Leininger enjoys learning patients’ stories, helping with the assessment of complex cases, and solving medical mysteries. He is passionate about healthcare improvement and considers medical challenges to be a personal calling. He enjoys working on these cases and serving clients who need his help. At GreyZone, Dr. Leininger is directly involved in the assessment of each new client and helps direct advocacy services and resources alongside our advocates. He is also available for regular check-ins and advocacy level consultations of long-term GreyZone clients. Dr. Leininger does not offer medical services through GreyZone. He values philanthropy, care access, and medical education. In addition to serving as a non-practicing Physician Consultant at GreyZone, Dr. Chris as most people call him, is a partner in one of the premier concierge medicine practices in town, Seattle Premier Health. He has been practicing and teaching medicine for four decades. He is an Associate Clinical Professor at the University of Washington School of Medicine, where he trains medical residents in office surgeries and teaches complex diagnosis. Dr. Leininger weekly donates his time and surgical skills to Project Access Northwest, a non-profit facilitating access to specialty medical care for low-income uninsured people. Prior to his work at GreyZone and Seattle Premier Health, Dr. Leininger enjoyed a long career in executive hospital roles and healthcare improvement. He was former Chief Information Officer of Swedish Medical Center, as well as former Director of the Swedish Clinical Quality Division. He also served for a decade as a lecturer at the Institute for Healthcare Improvement (IHI). Dr. Leininger holds an Executive MBA from the University of Washington, and obtained his Medical Degree (MD) from New York University School of Medicine. He received his Bachelor of Science (BSc) degree in Physics and Mathematics from Amherst College. Outside of work, Dr. Leininger loves music and traveling. He is a guitar player and his wife a soprano singer and together they have a Jazz band that frequently plays around the city. Their travels have taken them to most continents of the world and to places as remote as Antartica. Mary is a Registered Nurse (RN) and Board Certified Patient Advocate (BCPA). She is passionate about helping people navigate the complex healthcare system. Mary believes that clear communication between clients, care team members, and health systems is essential to positive outcomes. She aims to support clients every step of the way, and feels strongly that no one should walk the path of life-altering illness alone. As a GreyZone Care Advocate, Mary enjoys helping clients find solutions to challenging healthcare problems. She has been a health advocacy pioneer in Washington State for over a decade, and is an active member of the Washington State Health Advocacy Association (WASHAA). Mary was also one of the first recipients of the national board certification in patient advocacy (BCPA). 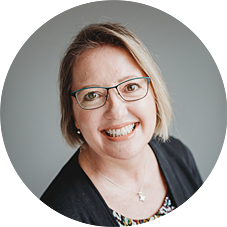 Over the years, she has served a diverse group of clients with a variety of health advocacy concerns, from finding the ‘right’ Provider or facility, to accompanying clients to appointments, guiding care conferences, and/or researching and resourcing related materials and experts. Mary enjoys the process of getting to know each client, adapting to unique circumstances, and supporting individual advocacy needs. In addition to her work at GreyZone, Mary has partnered with a local organization that provides subsidized independent housing for low-income Seniors. Together they are creating and implementing an onsite Health Advocacy Pilot Program designed to help Senior residents become more confident participants in their own healthcare. Mary also serves on the Board of the Eastside Neighbors Network (ENN), a non-profit, ‘virtual’ village focused on helping Seniors in her community stay socially engaged, independent, and able to age-in-place if they choose. Before feeling called to nursing, and the field of health advocacy, Mary held a variety of Administrative roles at McKinsey & Company, Inc, an International Business Management Consulting firm. Mary holds a Bachelor of Science in Nursing (BSN) from Seattle University, and a Bachelor of Arts (BA) in Political Science and International Relations from the University of Wisconsin-Madison. Mary loves spending time with her husband, son, daughter, and dog. She enjoys playing tennis, reading, traveling, and entertaining friends. Julia Parker is the Medical Research Librarian for GreyZone. She loves discovering and connecting people with critical information, especially when it is pertinent to a patient’s current medical challenges. Julia enjoys supporting patients through the process of informed decision-making. Julia is fascinated with the process of searching and retrieving medical literature, and she enjoys supporting initiatives that improve public health. She is encouraged by improving access to medical literature and knowledge, and is part of an ongoing effort by medical librarians and legislators to connect patients with medical research and clinical trial results. In 2013, Julia helped to launch a blog and book manuscript written for patients with continence issues, particularly neurogenic and underactive bladder. During the research and writing process, Julia enjoyed raising awareness about a health issue that is rarely discussed in public. The project was her first experience with health advocacy and an opportunity to encourage and inspire readers to live life to the fullest. Upon publication of the book, Julia was invited to the International Congress for Underactive Bladder (CURE-UAB) as a co-author. This project was a step towards Julia’s current work at GreyZone, where she supports patients with a wide spectrum of health issues. Julia moved into the research library setting after conducting infectious disease and cancer-biology research in the laboratory. Her laboratory background provides her with the necessary insight to tease out and summarize medical research details at every phase of clinical development. Julia is active in several professional associations, serving as the Membership Secretary of the Washington Medical Librarians Association (WMLA), Chair of the Consulting Section of the Leadership and Management division of Special Libraries Association (SLA), and Chair of the Industry Relations committee of the Association of Independent Information Professionals (AIIP). She is also on the board of her local library Friends’ group, KCLS FoR-Libraries. Julia holds a Library of Science degree (MLIS) and a Masters of Science in Pathobiology (MS) degree from the University of Washington. She also obtained a Bachelor of Science (BSc) degree in Microbiology from Purdue University. Julia enjoys living in the beautiful Pacific NW and, in her spare time, reading, baking, listening to acoustic music, traveling with family, and spoiling her two cats. Ashley serves as GreyZone’s Administrative Assistant, managing the daily needs of the office and supporting the work of her fellow team members through a variety of tasks. She finds satisfaction in knowing that the work she provides helps support patients during their quest for better health. Ashley coordinates with GreyZone’s physician network and supports the organization’s daily technological and security needs. She also works behind the scenes on system management infrastructure building GreyZone’s large database of information on specific medical conditions, diagnostic criteria, advocacy resources, educational materials for patients and specialist recommendations. Ashley’s personal experiences dealing with a complex medical condition influenced her decision to seek out meaningful work within the field of health advocacy. She understands the challenges patients face when trying to understand and manage their health. As part of the GreyZone team, she values the meaningful nature of her work and hopes to make a positive difference in people’s lives. In addition to working at GreyZone, Ashley is Head of Operations, Administration, and Technology at the Washington State Health Advocacy Association (WASHAA). Her time at WASHAA is spent on a variety of data collection and system management projects. Prior to joining GreyZone and WASHAA, Ashley graduated from the University of Washington. Her love of learning and interest in the dynamic relationship between mental and physical health led her to study in the field of psychology. She is particularly interested in neuropsychology and has a strong background in anatomy/physiology. Ashley holds a Bachelor of Arts degree (BA) in Psychology from the University of Washington. In her free time, Ashley enjoys drawing, board game nights with friends, spending time with her family, and spoiling her two puppies.